Lovely 2BR in Divided Edwardian House - Brunswick, Close to Melbourne Uni - All utilities and wifi included in this listing. Welcome to a warm and friendly private home in the heart of Brunswick, Melbourne! 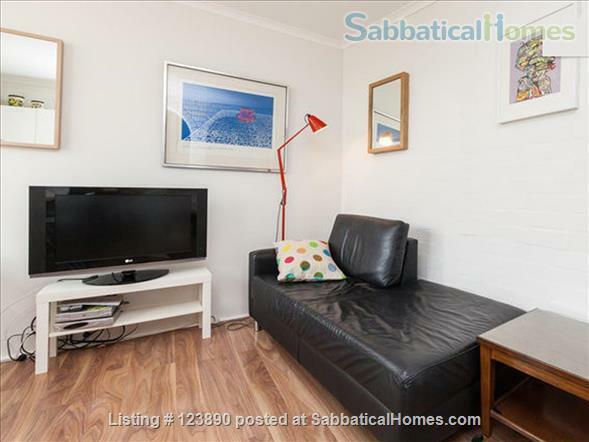 Ideal for people who appreciate a lovely and homely place to live and/or a home away from home - and an iconic Federation house attached to an old Melbourne Milk Bar to boot! My name is Julia and I'm a musician/ singer. I am happy to let you know of my favourite/ hard to find haunts for that nice glass of red, or much needed Melbourne Latte! I'm offering this home as a separate dwelling so you can have your own house in the heart of this city. The federation style house has been divided and I live in another part of the house. The areas are fully separated, sound proofed and I have my own kitchen and bathroom and entrance. Your portion of the house has 2 large bedrooms with very comfortable queen beds including a large desk in one of the rooms, a lounge and the kitchen also includes a sofa and is big enough to lounge about in (not in pics). Guests can expect a creative vibe. My sister is an artist - and some of her art is in the house, and I'm a singer. I enjoy nice furniture and things and am gradually making this home even more comfortable for my guests.There are a mixture of antique pieces with retro and function! I like people to feel at home. I have lived in Brunswick for years before it was a "cool" place (! ), and I feel the house really captures that brunswick vibe that people seek. I call the kitchen my "Oma" kitchen. It hasn't really changed in years and has a very good feeling to it ... If only the walls could talk! For Singles: I would recommend this home even just for one, as if you stay here by yourself, it will be a nice home to enjoy a very pleasant stay in the heart of this great suburb in Melbourne, (trust me, I love it here :-)) Many people have stayed here alone and loved the tranquility and space. It's thoroughly enjoyable solo. If the second bedroom is not required for the listing, I just close the door on it (i.e. - if just one person or a couple book). I'll be accessible if need be as I'll be living on the same property as your neighbour. You may be able to occasionally hear me play and write music/piano (although I'm not a loud person and I'm extremely respectful and never play too late). It's very common however that for weeks we never see each other. The house is large, bright and lovely in a groovy area of Brunswick, close to cafes, a 2 minute walk to trams, 7 min walk to Anstey Station and close to great cafes, and bars between the famous Sydney Roads and Lygon St in Brunswick. I also speak a bit of rusty German for those from that side of the earth! Internet is also provided. You will have access to wireless internet for emailing and social networking and streaming. There is also hydronic heating in the house and in each room so the house is always super cosy in winter and on colder days. The heating turns on automatically. I like to present the house very clean, and keep it that way. The house is fully furnished and equipped with all kitchen facilities, utensils, and mod cons. The power is solar, and the house is environmentally friendly. There are a couple of fruit trees in the garden. I am no gardener - but there is a nice table for you to sit outside and enjoy the sunshine. The backyard has divided sections, and the courtyard and table outside is a space for guests. "Julia is a thoughtful and attentive landlord. I stayed in one of her rentals for just three weeks and got to know how wonderful she is at keeping her renters happy, healthy, and entertained! She always made sure we had everything we needed and that our place was in good shape. She was consistently available and flexible to the needs of several revolving tenants in our rental. Julia really cares about the property she owns and it shows. The rental I stayed in was very well furnished and in excellent condition. I highly recommend renting from Julia if you have the opportunity."